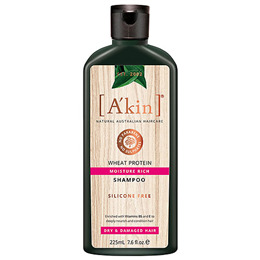 A kin Rice Aminos and Wheat Protein Intensive Moisture Shampoo is for dry and damaged hair that needs extra care. Cleanses and deeply moisturises dry hair. With rice amino acids, wheat proteins and gentle cleansers to nourish hair. Enriched with vitamin E and B5 this shampoo intensively moisturises to leave your hair feeling softer and more manageable. A kin Rice Aminos and Wheat Protein Intensive Moisture Shampoo - 225ml. Massage a small amount into wet hair. Rinse & reapply if necessary. 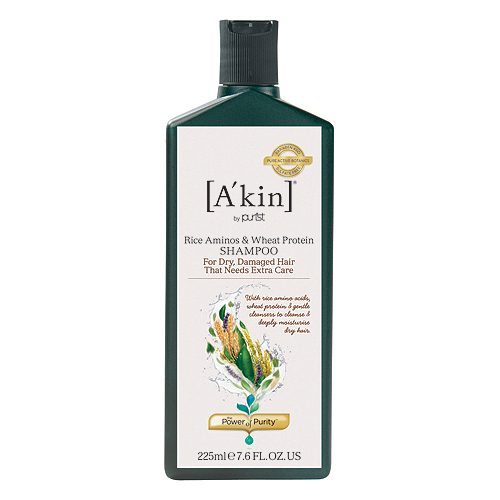 Below are reviews of A kin Rice Aminos & Wheat Protein Shampoo - 225ml by bodykind customers. If you have tried this product we'd love to hear what you think so please leave a review.